I look for her in the living room. The Pendleton blanket is folded and laid neatly on the back of the overstuffed couch (my sister’s choice). Mother’s hand-crocheted throw rests gently on the seat of our childhood rocking chair (my choice). Dust motes swirl in the half-light of this cloudy November afternoon, whispering rumors of light snow mirroring their desultory dance. It’s plenty cold outside those triple-pane windows. I shuffle to the kitchen, my leather slippers leaving twin trails—not too far apart—on the wooden floor of the hallway. Before our dachshund Mickie had died, this mess wasn’t a problem. His belly had hung so low to the ground from too much pampering, the floor never needed much care. The kitchen door swings open on its hinges as I push my way through. All is linoleum and hard surfaces in its black and white design; the echo of her absence is here as well. She’s left me some tea in the pot under the red floral cosy, but it’s long gone cold. It had been Mother’s favorite tea cosy, used only for special occasions. I push aside my irritation that it’s been used for an everyday purpose. The tea has long grown cold, as had our mother’s body. I reach into the cupboard and pull down a mug decorated with the garden art of some Swedish expressionist. Huh. This would have to be my sister’s cup. Anywise, cold tea is good enough for me. I fill the cup, swallow, and lean against the counter, vengefully grimacing at the feel of tea scum on my teeth. I dash the remainder in the kitchen sink and carefully rinse and place the mug on the counter. I’ll wash it later, with the teapot. I look for my sister’s purse, usually parked on the shelf above the tiny built-in desk next to the refrigerator, in between the stained copy of the Better Homes and Gardens New Cookbook and the barely cracked The Joy of Cooking. It’s not there. Where has Summer gone? I remember now. That’s where she said she was going. She was meeting a man in the North Garden, at the bench underneath the cocoa trees, just off the pond where the where the koi teem and jostle, always hungry, after the Japanese Garden is drained for the winter months. St. Francis stands across from the bench, extending welcoming hands to any creature that might venture into this part of the conservatory. Beyond humans, koi, and plant life, there is no uncontrolled wildlife. Birdsong is piped through overhead speakers; they’re not real. The various colors, the textures of leaves, the orchids, and the scent of the herbs and exotics, however–these are real and ever-changing. Better they should relocate that statue of St. Francis to the tropical garden, with its actual birds and sloths and snakes and skates and poisonous frogs, and freshwater fish that nibble and tickle the bellies of turtles floating through the tanks. She said she was going to meet him at the zoo in the North Garden. It was the first real date after the obligatory first assessment over coffee. That second date means there had been at least a hint of Chemistry, a reason to hope and continue the effort. So she might leave, my sister, Summer. She’d warned me, had told me that I needed to get a life outside of this house, with other people and other ideas, as she was doing. 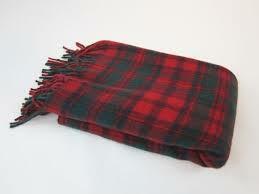 I shuffle back into the living room and unfold and admire the Pendleton’s precise red and green woolen plaid, settling back into the overstuffed couch and tucking its fringed edges around my chilly hips. I wait and wait and wait for Summer to return home, as afternoon light turns to dark. I love what you did with this…it works on both levels! Ooh, this is one of my favorites you’ve done! Like others have said, the sister twist was very witty and perfectly executed. Free-writing in a room with others, huh? Do you have a writing group or are you taking a class at The Loft? I have 3 groups I go to–this came out of one on Lake street. Loft is spendy and sometimes pretentious–Nuff said. Beautifully written! I loved the feel you created in the piece, a sad, frustrated tension. I was surprised by the sister not season twist. I love words, “…as afternoon light turns to dark.” Great way to end. Thank you for sharing. Wow. This was an amazing piece of writing. Well done all the way through. Sister tension, the take on “summer”, the reaction to mother’s death… cool. Honestly, 8 minutes total for the initial free writes. Another couple of hours, taken separately, to edit and post. Something magical about the synergy of free writing in a room with others, dark, hot coffee to sip as we listen to what each one has come up with. So different, so inspiring–I highly recommend! Real people? In a real room? I don’t think Im ready for that. (And the people should be relieved.) But that free write idea has merit. Truly, there’s nothing like being in a room with like-minded/ similarly odd-ish people. DO IT!! !